6th March 2006 - This evening we took off the front bumper and welded a 5ft length of 4" x 2" x 3/16" steel rectangular tubes ($76 for two, Kelly's Metal's) to the front of "The Ho". 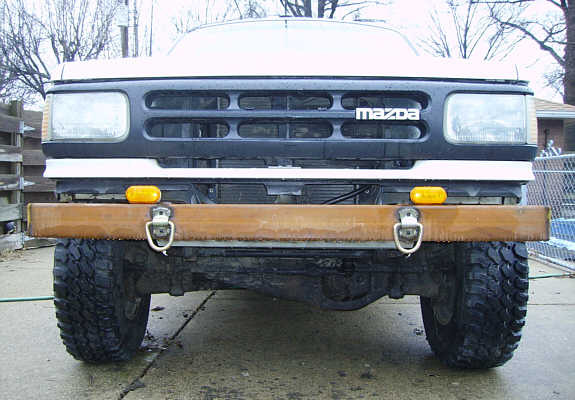 A couple of heavy duty towing eyes were bought from Rural King and welded to the front of that. These things are so much better than scrambling under the car, usually in the mud, looking for a hitching point. Whilst at Rural King we also bought some cheap indicator lights to replace the originals that were in the front valence. We had a problem in that they wouldn't flash and found the reason why is that the new lights aren't drawing the same current as the old which confuses the flasher unit. Rather than fiddle with it any more but feeling good about the bumper, Andy and I opened a few beers and I ended up having to be driven home, being in no state to drive myself anywhere. The next day we went to Advance Autoparts and got a variable load flasher unit for around $3. The flasher unit fitted to most cars are matched to the current draw of the lights, this means that if a bulb fails the flasher indicator stays on so warning you of a bulb failure. 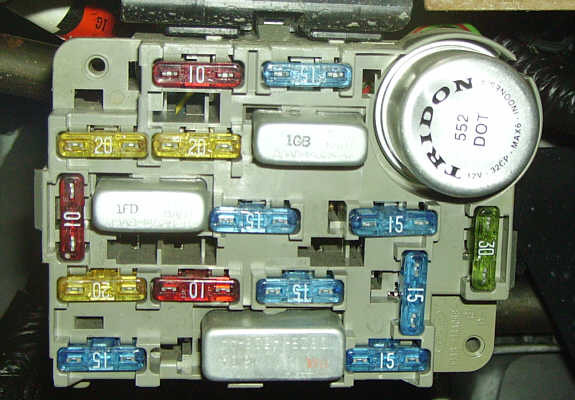 The variable load flashers don't do this so you have to check the bulbs yourself. 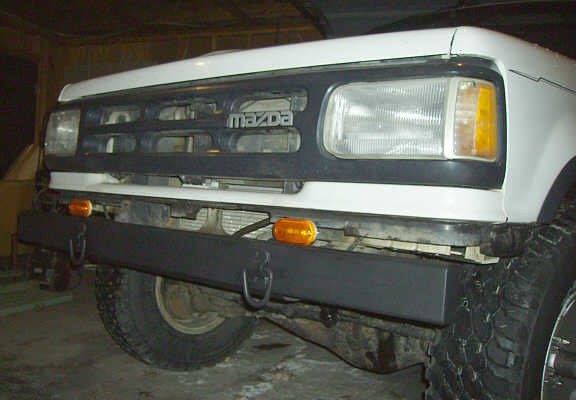 The newly fitted front bumper, end caps already welded to the steel tube. Andy also welded a steel plate under the bumper to protect the bottom of the radiator and hoses. 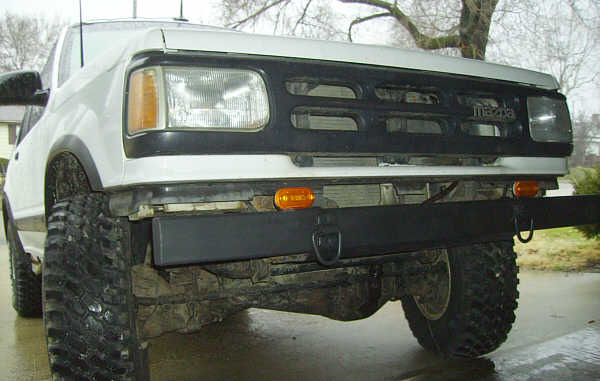 The bumper was then given several spray coatings of Dupli-Color's Truck Bed Coating. 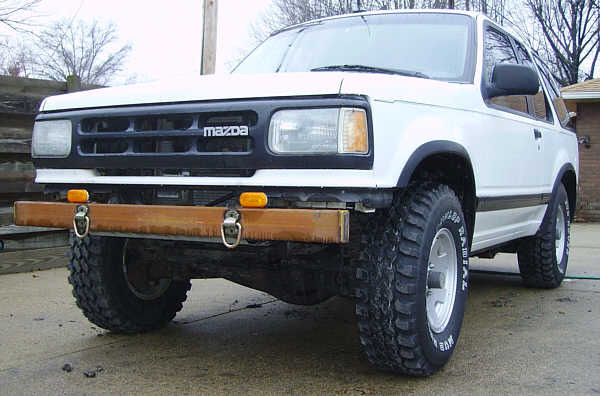 This is supposed to be a durable, unique, vinyl polymer non-skid coating that protects truck beds from impact, scratches, weather and rust. We'll see how well it does on the bumper.